Carmen Jacob has always dreamed big, and knew that in order to accomplish what she wanted, she needed to move to the land of opportunities: the United States. Born and raised in Guatemala City, Guatemala, Carmen and her husband made the difficult decision to move to the United States in 1972 because of a job offer that her husband accepted. After spending a few years in Houston, Texas, Carmen and her husband were then transferred to South America and Mexico before finally arriving in St. Louis, MO. It was because of her time in Latin America and her exposure to working with information technology that Carmen decided to take a risk and start a business here in St. Louis. “I heard lots of people complaining about their jobs, so I thought that I can offer better quality and better services than what are currently being offered. I wanted people to feel good about what they’re doing. I saw a problem and a need so I decided to fix it”. Carmen is the founder and President of NextGen, an information technology company established in 1997, which provides high caliber top level consultants for complex staffing requirements in a quickly changing high-tech business world. “My dream was really to just be able to hire 15-20 people, to help them find their dream job so that they can be happy and successful. After awhile, NextGen continued to grow and become more successful than I ever imagined. Now, we have over 300 employees. The headquarters are in St. Louis and we have satellite offices throughout the US”. Carmen’s journey to starting her own company wasn’t always so easy. She faced many difficulties and downfalls before she finally was able to succeed. “The challenge at first was the ability to be daring and network here. I had to find out who needed what I had to offer. That was my biggest challenge. I had to find the courage within myself to go and knock on doors and to go to various events to try and meet people so that I could spread the word about my ideas. Eventually, I was able to meet the right people who helped me to take a risk and start my company”. NextGen has been extremely successful since its creation. 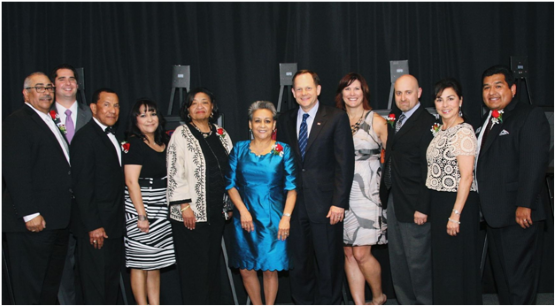 It has recently received numerous awards such as the 2014 Minority Business of the Year chosen by Governor Nixon and also the 2014 Hispanic Company of the year. 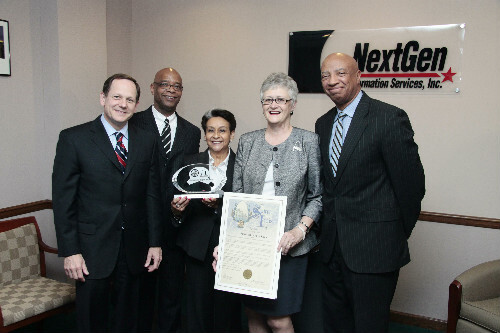 Additionally, NextGen has become a certified Minority and Woman Owned Business Enterprise (MBE/WBE) by the state of Missouri and the National Minority Supplier Development Council (NMSDC). NextGen is dedicated to diversity and discovery in the evolving world of technology. Four of their current office employees are bilingual to help their Spanish-speaking employees. Furthermore, twenty percent of the employees that NextGen places in companies throughout the St. Louis region are foreign born. This is why NextGen has signed on as the fourth Mosaic Ambassador Company. 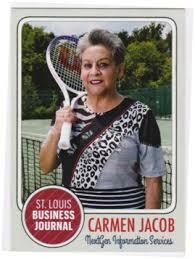 Carmen is also a member of the St. Louis Mosaic Project Advisory Board. Carmen’s actions are helping to contribute to the St. Louis community in numerous ways. 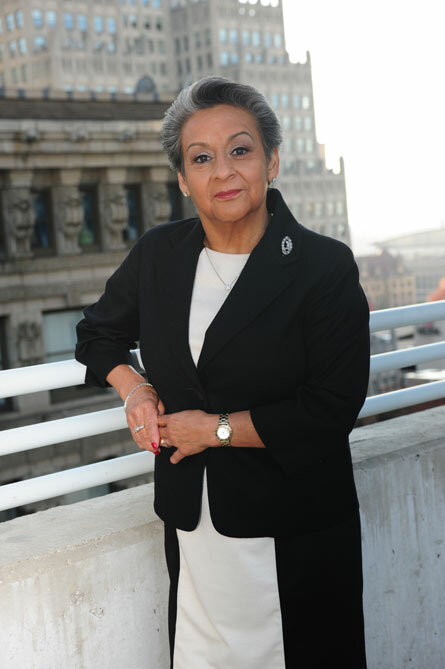 Carmen serves on the board of various organizations in St. Louis such as the Hispanic Chamber of Commerce, the Minority Business Council, United Way, The Muny Opera of St. Louis, The Partnership for Downtown St. Louis, and many more. “I want others to see that immigrants can be successful and acquire visibility to accomplish what they’ve always dreamed of. I want people to say, “if she can do it, I can do it too”, to have this sort of attitude. I want them to know that it’s not impossible. I think that is my mission in life, to be able to captivate an audience of young people and encourage them to be successful”. Carmen continues to enjoy everything St. Louis has to offer. She views St. Louis as a family oriented city with a good cost of living. Some of her favorite activities in St. Louis include going to The Fox, The Muny and Forest Park. As for the future, Carmen hopes to continue to see St. Louis grow. “I would like to see the St. Louis Mosaic Project grow even bigger. I would also like to help more newcomers and be like a mentor to them. Also, I hope to continue growing my business. It takes hard work but it’s possible. I would like to be an example and show that a company, which is owned by an immigrant, has succeeded and given back to the community”.